OK, so no ducks reported yet as a store mascot, but in addition to dogs and cats, we’ve found a horse, a Yellow Crowned Amazon who’s a chicken with strangers and an Iguana who’s been on late-night TV. IN OUR NEXT LIVES, we want to come back as store pets! These lucky dogs, cats and other animals get to spend workdays with their people, making new friends and testing new products. They even get to sleep on the job! Meet some of our favorites and learn how they help out around the pet business. This French Bulldog came into the store as a customer. Now he and his human, Cijai Bianchi, run the place — Bronson serves as brand ambassador while she works as manager and buyer. 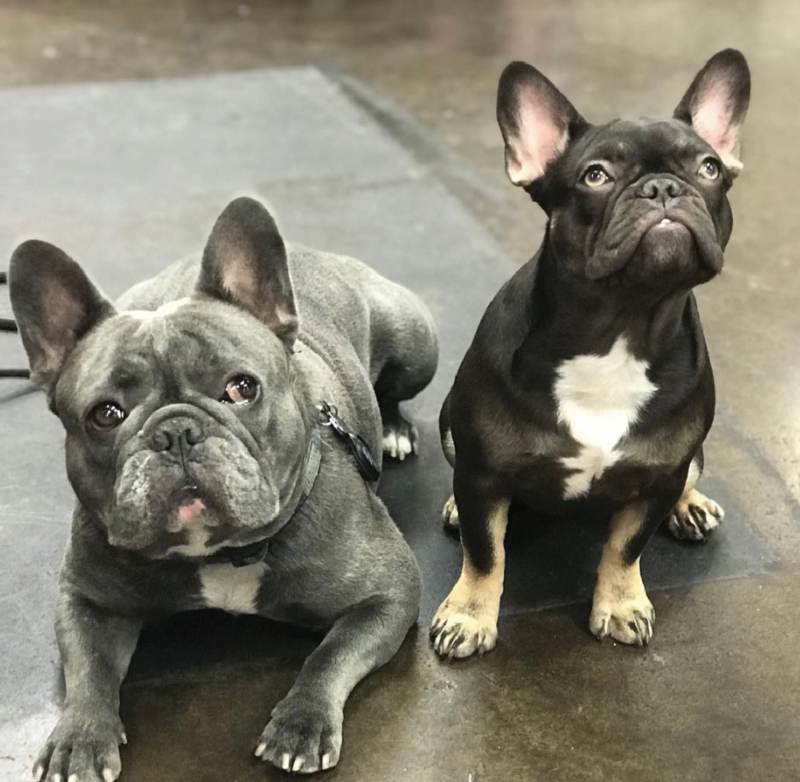 His handsome mug (above, pictured at left) fills social media for Bonnie’s Barkery, and his personal Instagram, bronsonthebluefrenchie, touts his role to 9,000-plus followers. That face! The Domestic Shorthair and Persian mix lives at Rachel Diller’s salon. Faith charms customers while they wait, curling up on their lap and even comforting those who no longer get their cats groomed. Faith also attends events and expos, and has appeared in several local and grooming publications. Among her other duties: teaching rescue Persian and fellow shop cat Lola how to wrap humans around her little paw. 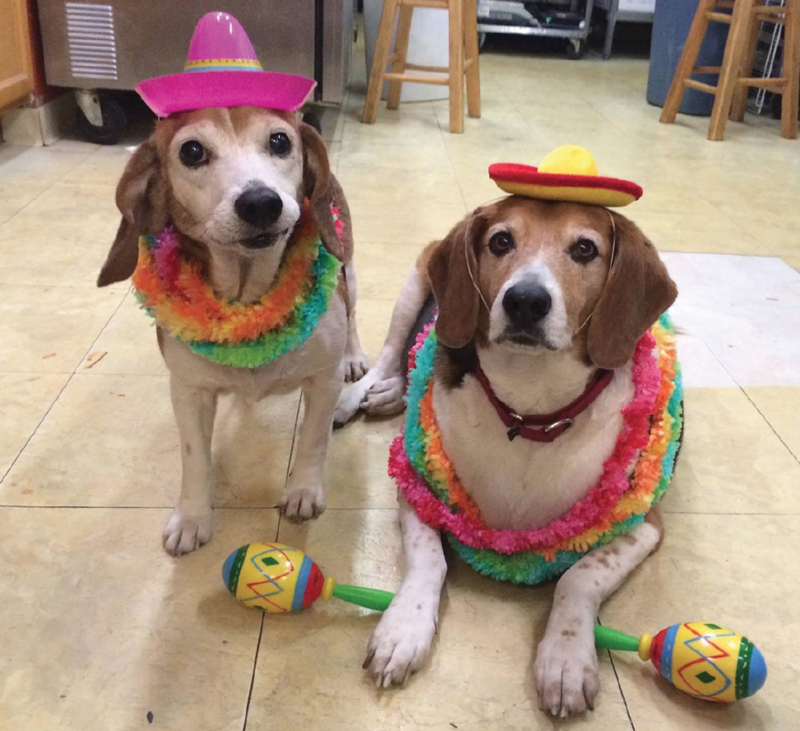 Kale Chips the Beagle (above, pictured at right) gained international fame in 2015 for weighing an unhealthy 86 pounds. Store owner Beth Staley fostered him, helping him lose half the weight! Now a permanent member of the family and staff, he shares the spotlight with fellow rescue Gracie, who loves to photobomb her sibling when fans visit. Up to five rescue cats — including Tuff — live at each of this store’s six locations. Instead of greeting or helping customers, the adorable Pug puts them to work! “She loves her Kong ball more than anything else and can train humans in less than 30 seconds to get on their hands and knees and retrieve the ball from wherever she managed to get it stuck,” owner Wendy Megyese says. He may be semi-retired, but this rescue Miniature Pinscher inspired Sherry Shupe to open her store and still holds the title of Chief Toy & Treat Officer. This Calico came in as an adoptable cat, but owner Heidi Neal invited her to stay. 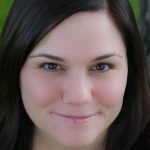 Does Susan enjoy interacting with customers? You may recognize Castro from his recent appearance on “The Late Show With Stephen Colbert.” The clip of him marking his territory on the host’s desk went viral! When not on TV or in the community for educational programs, the 20-year-old Cuban Rock Iguana spends his days greeting customers or napping in sunny spots. “He also comes when I call his name,” Robert “Jungle Bob” Smith says. At night, Castro retires to an on-site custom enclosure built to replicate his natural habitat. This store pet recently gave birth to a filly named Bella and has taken maternity leave. When CoCo returns, she will resume surprising and delighting customers during weekly visits. This Shetland Sheepdog has a very important job: trainer’s assistant in Puppy Day School. Strata has helped socialize more than 250 puppies to date. “He is gentle and patient with shy, fearful puppies while also having no reservations about putting a boisterous, inconsiderate puppy in their place,” owner Katherine Ostiguy says. This Yellow Crowned Amazon goes to work with owner Tara Hellenbrand almost daily. Dudley perches on his stand behind the counter, interacting with customers for short periods of time. Fia the Pomeranian goes just about everywhere with grooming salon owner Danielle Wilson. This rescue Border Collie-Spaniel mix comes to work with his human, groomer Stephanie Whiteside. Because of her work, Bandit often finds himself sporting the latest styles. Luna likes to jump up and sit on the checkout counter. Senior Simba prefers to hang out on the floor. Both rescues interact with customers, human and canine alike. A senior Boston Terrier, rescue Jetta greets customers as they come into the store, returning to her bed to nap until the next one arrives. Taylor the Schnoodle and Buddy the Picardy Shepherd are BFFs. Both rescues, they work as greeters at the store. Taylor goes home with owner Nancy Okun, while Buddy lives with her right-hand woman, Judi Herston. This Standard Poodle has a busy schedule. When not working as chief treat taster and social media model, she competes in dog shows! You may also recognize Mumsie from our July-August cover, on which she appeared with owner Leel Michelle in celebration of their America’s Coolest Stores win.